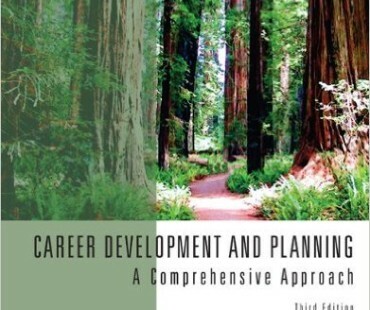 This comprehensive career planning text combines an innovative theory-based approach with practical knowledge developed during the authors’ combined 100 years of providing career services to college students. Part One (chapters 1-5) focuses on cognitive information processing theory with detailed, practical examples of the application of the theory in typical career situations, including self-knowledge, occupational knowledge, and decision making. Part Two (chapters 6-10) provides a multidisciplinary overlay of issues that affect career planning decisions, such as economic trends, the global economy, organizational culture, and family-work issues. Part Three (chapters 11-15) focuses on concrete steps for executing a strategic career plan and seeking employment, including an examination of familiar topics such as interviewing, resume writing, negotiating, and work adjustment, from a cognitive and multidisciplinary perspective. Revisions to 3rd edition: *New information about occupational classifications *Labor market projections extended to 2016 *More active learning strategies incorporated into instructor’s manual and also embedded in the text *Clearer directions for completing assignments provided in appendices, e.g., career field analysis research paper. *Redesigned 350+ PowerPoint slides based text and instructor’s manual contents.